Today, in backyards across this great, sprawling nation, with its hodgepodge of cultures and landscapes, Americans in all 50 states will spend the day grilling food, consuming all kinds of beverages and igniting fireworks (mostly illegally) as a way to honor the birth of the United States of America. Of course, there were only 13 original states, or “colonies,” as our former owners the British called us, back around 1776. Yes, 13 is an unlucky number; but so far, we’ve turned out pretty well as a country and people when compared to the rest of the world. Some of our domestic and foreign policies have not been looked upon too favorably by our neighbors around the world. Starting an unprovoked war and an unparalleled thirst for fossil fuels are just two reasons why the USA gets bashed and bashed some more on the global stage. 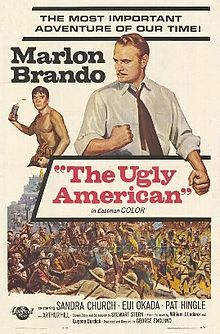 But decades ago, our countrymen (and women, I guess) were tagged with the term “ugly American” as a reference to perceived arrogance and boorishness. The term actually was coined from a 1958 political novel that was made into a movie starring Marlon Brando; the setting is a fictional nation in Southeast Asia, which of course was the location of some pretty awful stuff in the decades to follow. Have you heard the phrase “ugly American” today? Actually, these days we’re called a lot of nasty names by people from various cultures — names that are much worse than what’s inferred by the “ugly American” moniker. Some even consider us the modern Satan, or Beelzebub, Lucifer or one of the other names for the real Bad Guy. Perhaps what we need today — and I’m not a fan of more government, especially on the Federal level — is an office or department or bureau of Public Relations. Perhaps our various government bureaucracies can assign a skilled public relations practitioner — preferably one with the Accreditation in Public Relations (APR credential, which I proudly hold — to develop a real PR plan for the nation. The key goal would be to enhance our reputation for all the good that the USA does here and internationally. Apple pie-in-the-sky? Maybe. But it’s assuredly a lot less costly than a war or some of the nation-building exercises we’ve engaged in recently. What do you think? So get out and celebrate Independence Day. 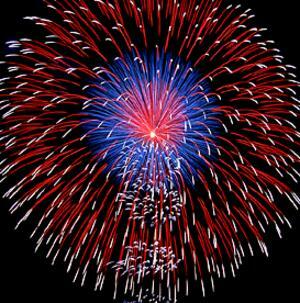 Today’s national birthday celebration — our 235th — should be honored with parades and fireworks, brats and beer. Or doing just about whatever you want to do, as long as it’s legal and doesn’t bother your neighbor. This entry was posted in Uncategorized and tagged fireworks, Independence Day, public relations, public relations plan, Ugly American. Bookmark the permalink.